[dropcap type=”1″]W[/dropcap]onderFox Free DVD Ripper can definitely rip DVD for playback on any pop products, which rips DVD to a wide range of video formats like MP4, MPG, MKV, MOV, FLV, etc. Furthermore, you can easily trim video or add effects to the touch up video and rip DVD to HD AVI, HD MOV, HD MKV, etc. If you prefer a bit of DVD ripper additional flaw or enjoy more, you can look to WonderFox DVD Ripper. 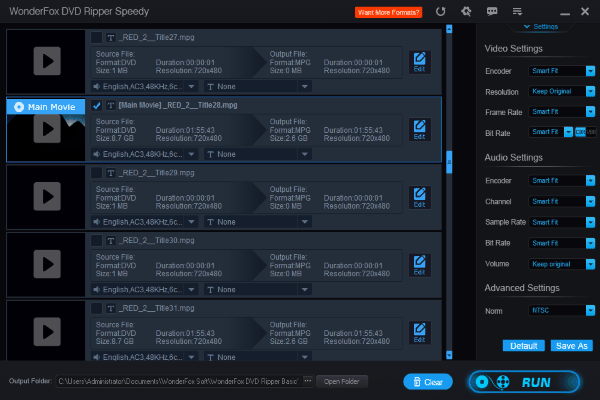 The tool could rip DVD (Disc/ISO) to 116 video formats and supports Intel® Core TM, NVIDIA® CUDATM and AMD® to generate 6X faster video conversion speed with ZERO quality loss. Moreover, it helps you nicely remove DVD protection and copy DVD to nearly all devices, such as iPhone 5S, iPhone 4S, iPad mini, Samsung GALAXY Note 3, GALAXY S4, BlackBerry Playbook, Nokia Lumia 900, N9, Sony PS3, PSP, etc. 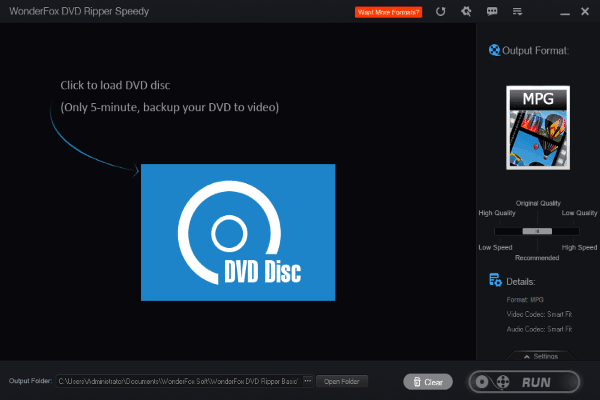 With this versatile tool, you can rip any DVD including the latest encrypted technology DVDs like DVDs with DVD CSS, region code, RCE, Sony ArccOS, UOPs, Disney X-project DRM. WonderFox DVD Ripper lets advanced users to do some more customized settings. You can easily set output video resolution, encoder, bit rate, frame rate and output audio sample rate, bit rate, encoder and more. Before loading your DVD, make sure you’ve downloaded this great tool. Open it first. Step 1: Insert the DVD disc into computer DVD-ROM. And then simply click “Load DVD” and you can choose which parts of this DVD to be loaded from 2 options – Main Movie and All Movies. Step 2: Hit “Start” to backup the DVD. Just wait 5~10 minute you will get the ripped video file.